Southern California-based burger chain In-N-Out may be better known as a cult phenomenon than it is for its burgers. Not that their burgers aren’t awesome: They are. But cult favorites typically come with a catch: Part of their appeal is that they’re meant to be enjoyed in moderation. 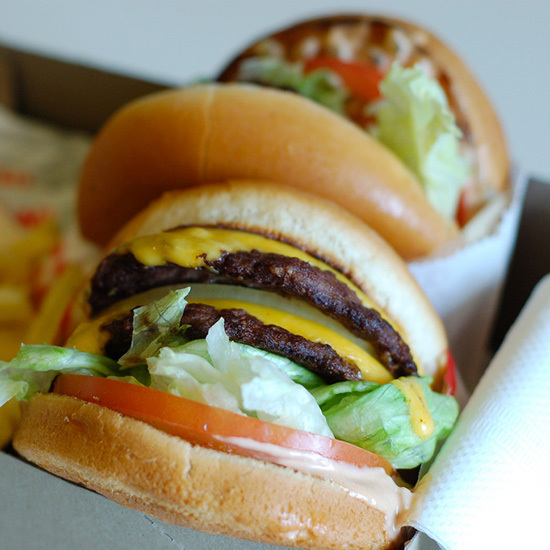 So though eating In-N-Out for 30 straight days might sound amazing, whether it would actually be enjoyable is up for debate, a debate Dustin Wang decided he wanted to try to settle. The 20-year-old UC-Irvine student decided to go a full month indulging in at least one Double-Double (or greater) burger and an order of fries every single day. Just why he decided to do it, outside of the Super Size Me-like publicity it might elicit isn’t entirely clear. When specifically asked, he responded, “I really love In-N-Out, so why not eat it for 30 days? I don’t think it’ll be too much of a challenge.” It’s a “Why do you want to eat Mount Everest? Because it’s there” kind of answer. Though Wang seemed psyched about his project early on, by day 23, he said, “I’m looking forward to the end of this challenge….” And by day 29, he quipped, “More excited than anything to immediately start a juice cleanse. As a survivor, I can tell you that fries are the hardest part of this challenge.” In-N-Out fries are somewhat controversial. I’m not a fan, but then, I’ve also been told I am an idiot. Yeah, there are very few things at all that I would recommend doing every day for a month straight. Hell, I rarely brush my teeth every day for a month straight. But if you want to see Wang’s full journey, he documented it at OC Native. #INODIET from OC Native on Vimeo.